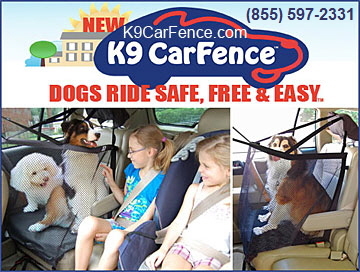 Dog Travel Products include protective seat covers for dogs, or dog carriers or airline approved carriers for dogs are all a part of helping your dog to travel safely, comfortably and in style. Traveling products for dogs help dog owners stay prepared when on the run with their traveling companions. Dog owners will appreciate our growing selection of products to help your dog travel safely and comfortably.